California Tours’ four San Francisco Vacation Packages give you every reason to – as the song says – “leave your heart in San Francisco!” Start in the magical “City by the Bay” and then continue to your choice of four noted regions – Yosemite, Los Angeles, Las Vegas, or the California Coast – depending on your selected vacation package. San Francisco is the centerpiece of your getaway – with the most breathtaking natural setting of any American city, an astonishing choice of awarded restaurants, and a cosmopolitan culture befitting the world’s tech capital. Tourists flock to explore the city’s hills and beautiful views of the bay, to see Victorian homes from the Gold Rush era, and to visit landmarks like the Golden Gate Bridge and curvy Lombard Street. From Italian North Beach and bustling Chinatown to the hippie haven of Haight-Ashbury, San Francisco is full of delightful surprises and exciting activities. In just one afternoon, you might ride the famous cable cars, be entertained by sea lions at Pier 39, and boat to the island of Alcatraz. You’ll also drive beyond the city to the soaring redwoods at Muir Woods National Monument, and the charming waterfront village of Sausalito. The Napa and Sonoma Valleys just north of San Francisco are the heart of California’s wine country and boast rolling hills, vine-planted valleys, gourmet dining, and world class wine. There, you’ll taste and tour at a variety of wineries, and gain an understanding of exceptional wine making that will last long after you return home. Depending on the package you choose, your San Francisco Vacation Package next moves to one of four additional regions. 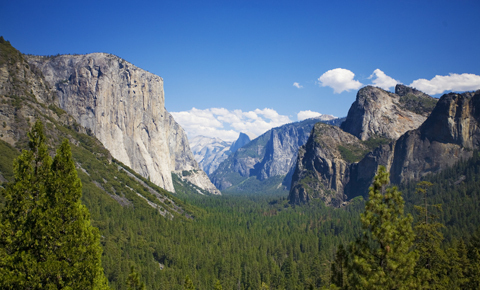 In the Sierra Nevada to the east, the sheer granite cliffs, imposing peaks and thundering waterfalls make Yosemite National Park one of the most memorable destinations in Northern California. 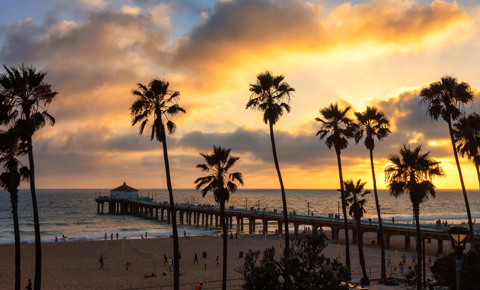 To the south, magnificent Los Angeles, made famous by Hollywood and its breathtaking beaches, welcomes with entertainment-industry attractions and sights, ocean vistas, and more. 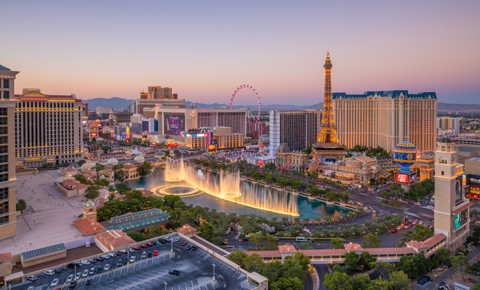 An oasis in the Nevada desert, Las Vegas’s neon lights and world-class resorts bring famous shows, gambling, nightlife and excitement like nowhere else, with an additional option of a side trip to the Grand Canyon National Park. 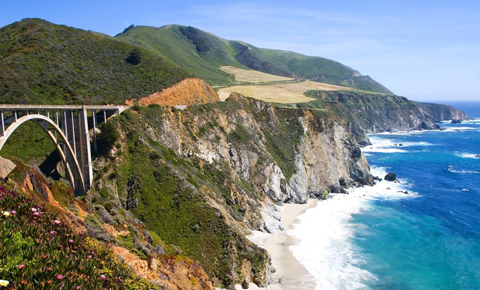 Or, experience the rugged Pacific Coast south of San Francisco, and the idyllic coastal settings of Monterey, Carmel, Big Sur, and Hearst Castle. Our San Francisco Vacation Packages are designed for the independent traveler arriving in San Francisco and wanting to visit the city and surrounding area. For each vacation package, you may choose from the Classic Package, offering a carefully-planned, comfortable and comprehensive experience, or the Deluxe Package, with additional options and upgrades. The itineraries can be combined in any order and can be customized to any length to suit your needs.